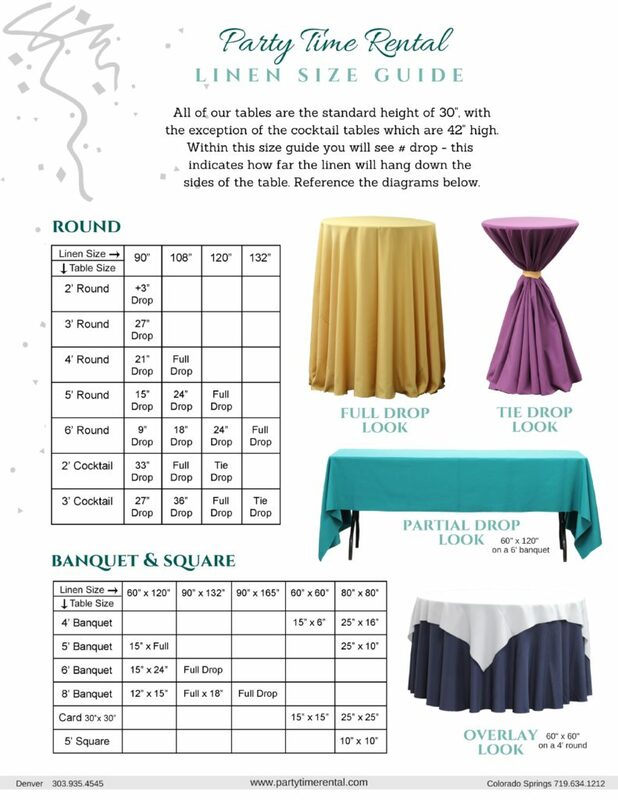 We offer our linens in a variety of sizes and colors so you can get the right look no matter the type of event. Unsure of what size drop you are wanting? For a formal event, such as a wedding, a longer drop is most typical. At least half way down the table, 15″ but longer the better. For a casual event, like a birthday party or BBQ, typically a short drop works perfectly. 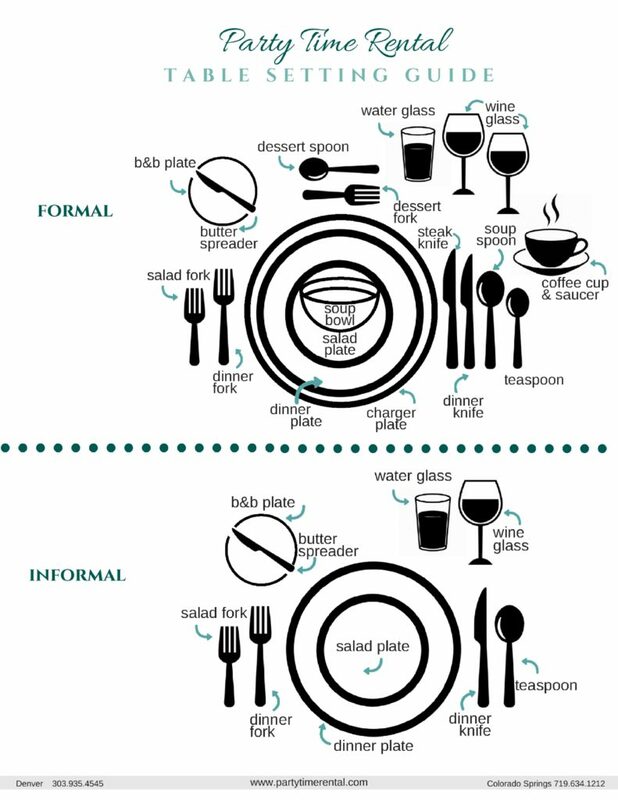 Aim for a 6-to-8 inch drop from the edge of the table to the bottom of the tablecloth. When displaying – like a booth or buffet, a full drop is the most popular option. As it goes all the way to the ground hiding the legs. Sizing a tent can be a little tricky as there are multiple factors that go into determining the right size. 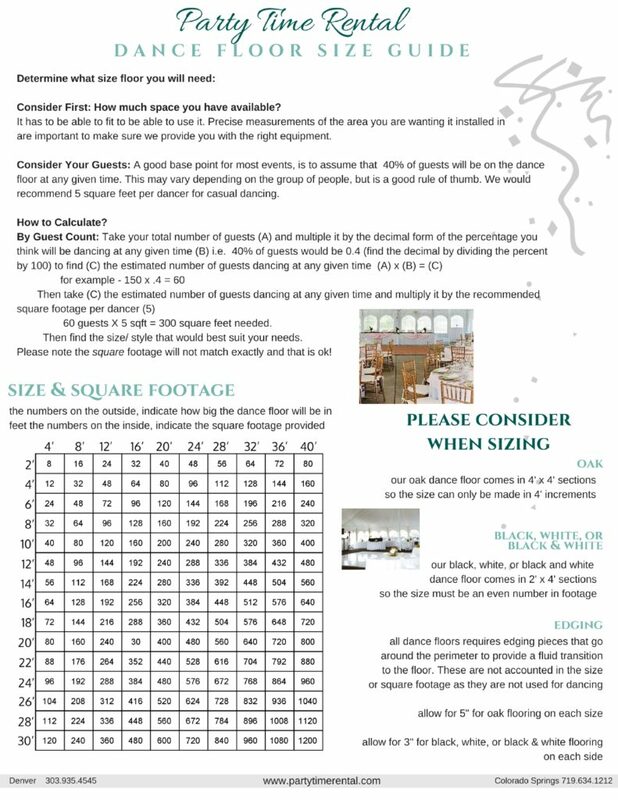 Some factors include, the available space for installation, the guest count, the seating arrangements, the table sizes, whether you are wanting a dance floor, bar, DJ booth, etc. 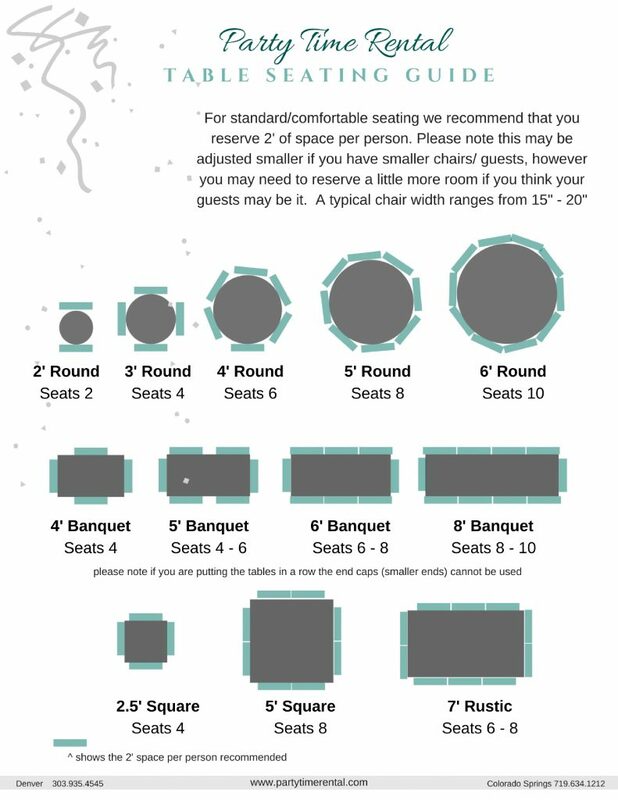 We know your event is important and we want to treat it that way! 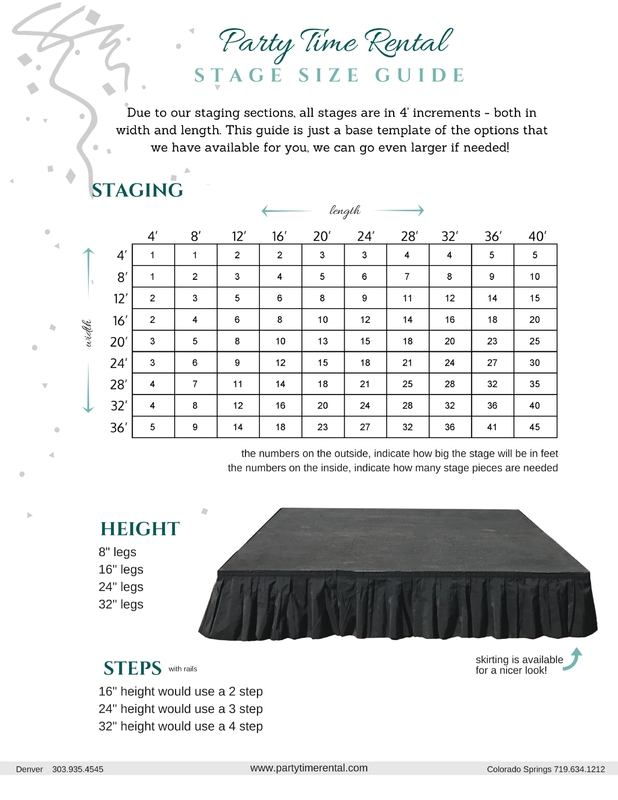 So to avoid any confusion or misinformation, we think it is best to talk with one of our Tent Specialists who would be happy to work with you and find your unique and custom tent needs. 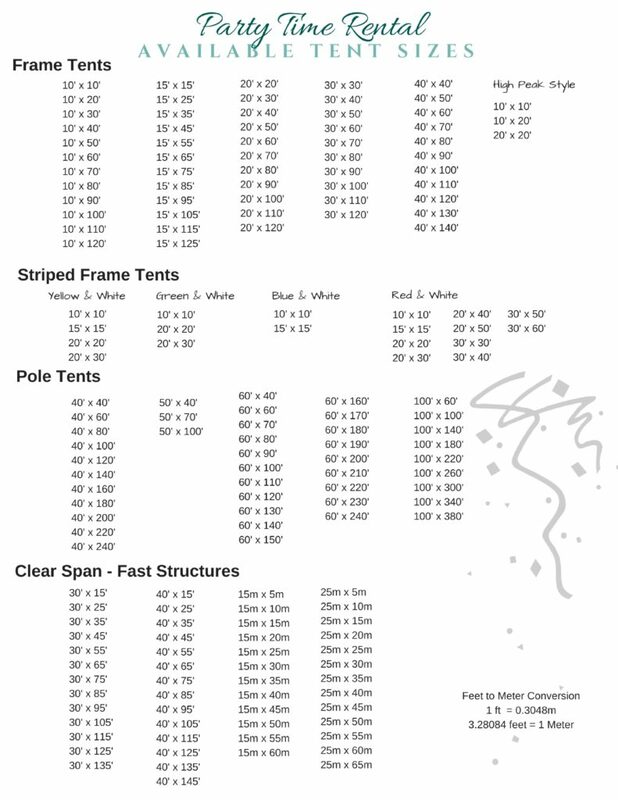 Here is a list of the tents that we do carry, however if you are looking for something different please feel free to contact us.